Are You Prepared for an Alcohol Awareness Card Check? – TAM Card® Nation in Vegas! Are You Prepared for an Alcohol Awareness Card Check? Sellers and servers of alcohol in Washoe and Clark counties are required to complete alcohol education and obtain an alcohol awareness card prior to the start of work. If an undercover officer came to your place of employment today to check the status of alcohol awareness card holders, would you be in compliance? Establishments need to be diligent in requiring staff to check ID’s when making alcohol sales. Every establishment needs policies and procedures to prevent underage persons from obtaining alcohol, and to protect themselves from liability, and the public from harm. Decoy operations are not just used to catch those selling alcohol to minors, they can also be used to check the validity of your alcohol education card and whether it is expired. 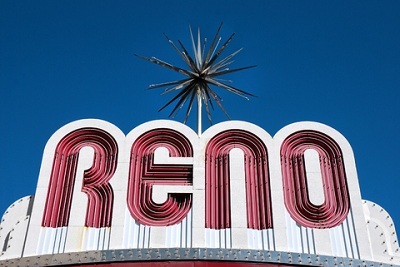 According to Fox Reno, officers on the Street Enforcement Team in Reno, Nevada recently completed alcohol compliance checks at bars and casinos around Reno, and results were surprising. Detectives used underage decoys to enter establishments and try to purchase alcohol. Of the twenty locations visited, bartenders at seven of those locations were cited for selling alcohol to a minor! Remember, selling alcohol to a minor is a very serious offense. TAM® of Nevada provides alcohol awareness training which covers all aspects of furnishing alcohol to a minor, and provides training on spotting fake IDs. Service professionals must be aware of the facts and dangers of teenage drinking and diligent about checking identification. Additionally, if you are busted serving alcohol to a minor, one of the first things law enforcement and your employer may do is look at your alcohol education card. Of the twenty bartenders mentioned above, all were carrying an alcohol education card. Not all training is created equal; completing your alcohol awareness course with TAM® of Nevada shows you’re serious about obtaining the best alcohol education possible. Don’t put yourself at risk, always ask for identification, and get educated on effective ways to help stop teen drinking. Previous Las Vegas Restaurant Week is Coming. Are You Ready for the Crowds? Next Fake IDs Are Going High-Tech. Do You Know How to Spot Them?